Erythritol is the absolute best natural sweetener you can buy. Powdered erythritol is a simple and easy way to sweeten almost anything! At the most simple level, erythritol is a granulated sugar alcohol. It is made by (oddly enough) fermenting glucose with yeast. Erythritol can also occur naturally in a small number of fruits and other fermented foods. Erythritol is sweet to the taste as it is eaten, then filtered out by our bodies and excreted in our urine. DOES ERYTHRITOL TASTE LIKE SUGAR? Sorta. Erythritol is only 70% as sweet as sugar and has a small fraction of the calories. It does have a sugar-like appearance since it’s granulated, but it does not taste like sugar in the traditional sense. Its cooling effect also helps to differentiate its taste from that of sugar. For more information about erythritols cooling effect, read on below. One of the few negative aspects of this wonderful sweetener is its cooling effect. This basically means that when eating something that has been sweetened with erythritol, you will more than likely experience a cool taste in your mouth. This is often compared to the cooling effect of mint. While not a huge deal, erythritol does have the most noticeable cooling effect of any of all sugar alcohols. Fortunately, powdering the granules seems to help alleviate some of this cooling. DOES ERYTHRITOL IMPACT BLOOD SUGAR? Due to its chemical makeup, erythritol has a glycemic index of 0. This means that it has zero impact on blood sugar levels when ingested. For reference, pure sugar has a glycemic index of 100. Don’t be fooled, however. Just because erythritol is a sugar alcohol, that doesn’t mean that all sugar alcohols are created equal. In fact, most sugar alcohols register on the glycemic index. Here are some of the most common sugar alcohols used in products and/or ketogenic and low-carb cooking and their glycemic index scores. Just in case these numbers are somewhat confusing, keep this in mind. The higher the glycemic index of a sweetener, the more likely it is to spike your blood sugar levels. If you are pursuing a carbohydrate-limited way of eating, such as ketogenic or low-carb, spikes in blood sugar levels are not what you are looking for. Actually, spikes and raised blood sugar levels is the nasty secret behind the process of gaining weight. Therefore, the goal is to minimize sugar spikes that as much as possible and any sweetener with a high glycemic index should certainly be avoided. Like with any artificial sweetener, too much might not be such a good thing. When erythritol is ingested, roughly 90% of it is absorbed into the blood stream before it makes it to the large intestine. Because of this, erythritol generally does not cause gastrointestinal issues like other sweeteners. However… Consuming erythritol in larger quantities can lead to digestive issues including bloating, gas, and diarrhea. 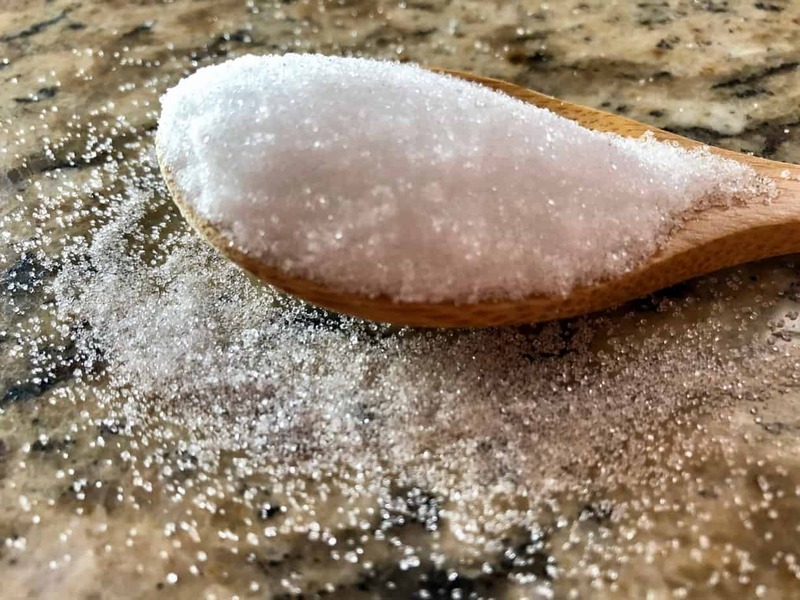 Because of this, make sure to monitor how much erythritol you ingest to avoid the digestive issues that could come along with its consumption. Sure, you can buy powdered erythritol sweeteners in-store and online. However, a good number of these are mixed with other artificial sweeteners and are more expensive simply because they are pre-powdered. 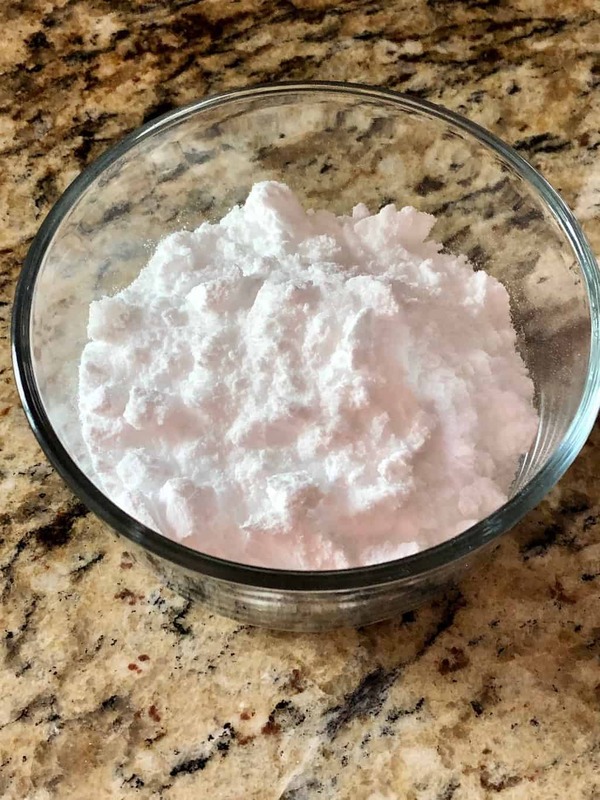 The good news is, making your own powdered erythritol is much easier than you might think. 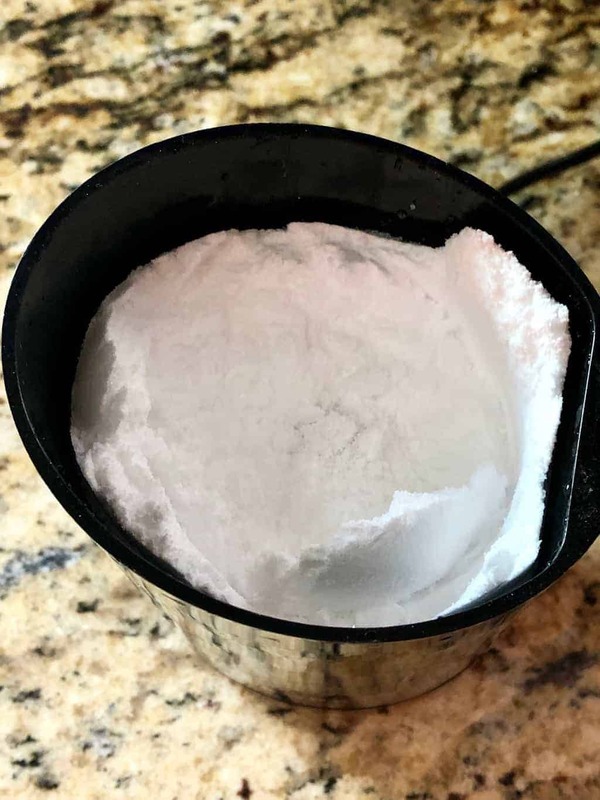 So, instead of having to constantly buy products like Swerve Sweetener or having to keep both granulated and powdered erythritol on hand, you can simply buy the granules and powder your own. 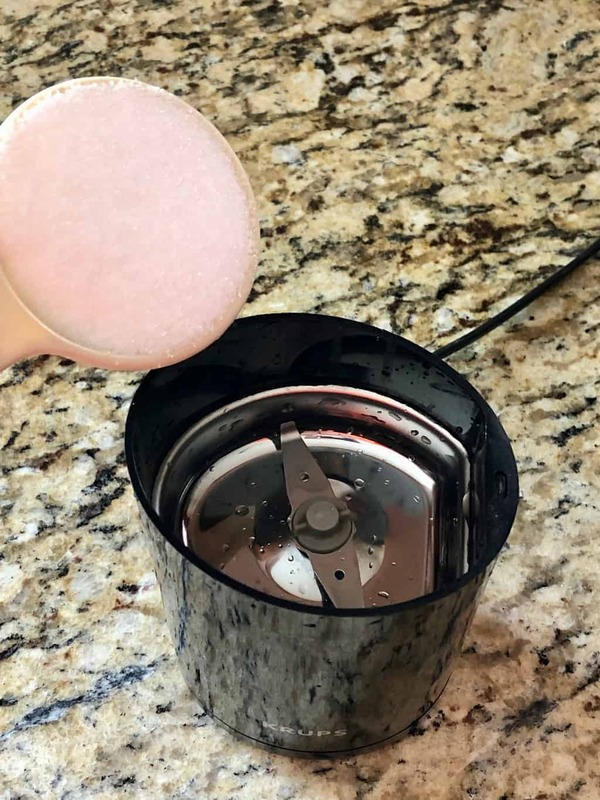 To do this, you will only need two items; a coffee grinder and granulated erythritol. They are both easy to grab from Amazon if you are unable to find them locally. 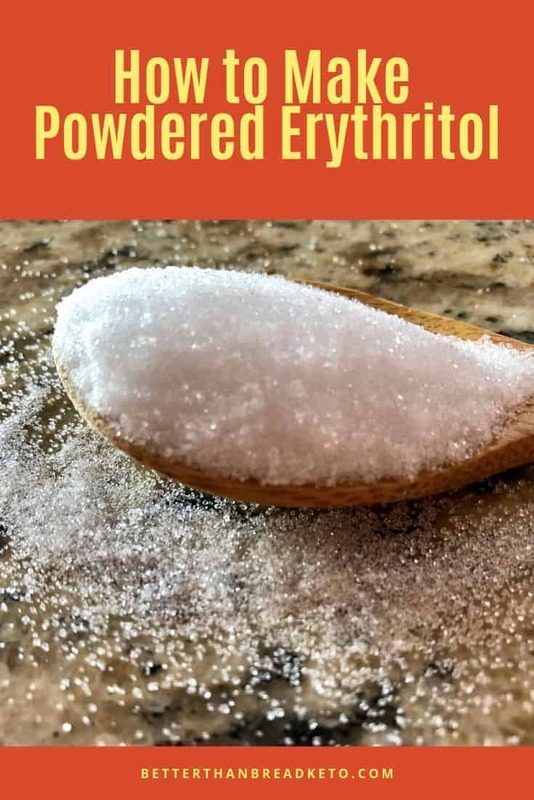 Begin by measuring the needed amount of erythritol into a measuring cup or measuring spoon. Next, pour the granulated erythritol into the coffee grinder. Pulse or run the grinder until the erythritol has turned from granules into powder. 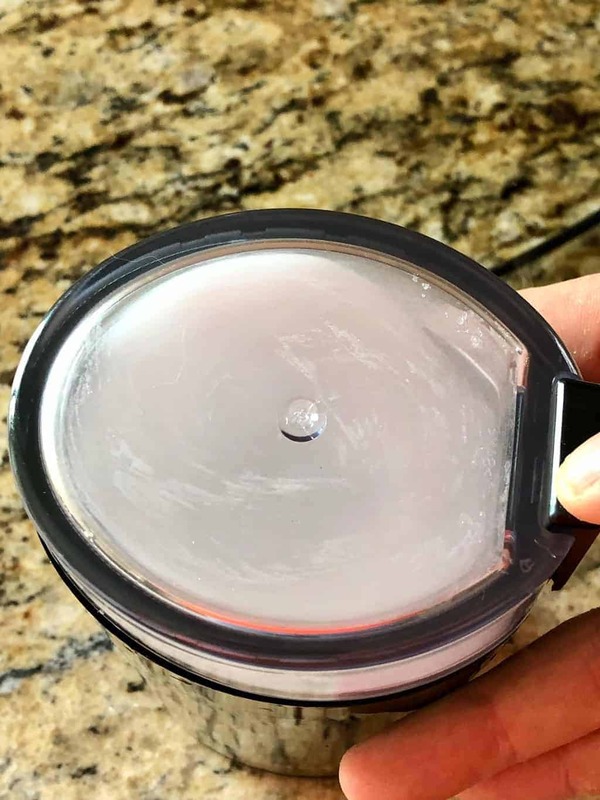 To get all of the powder into the bottom, gently tap the grinder against the countertop before opening. 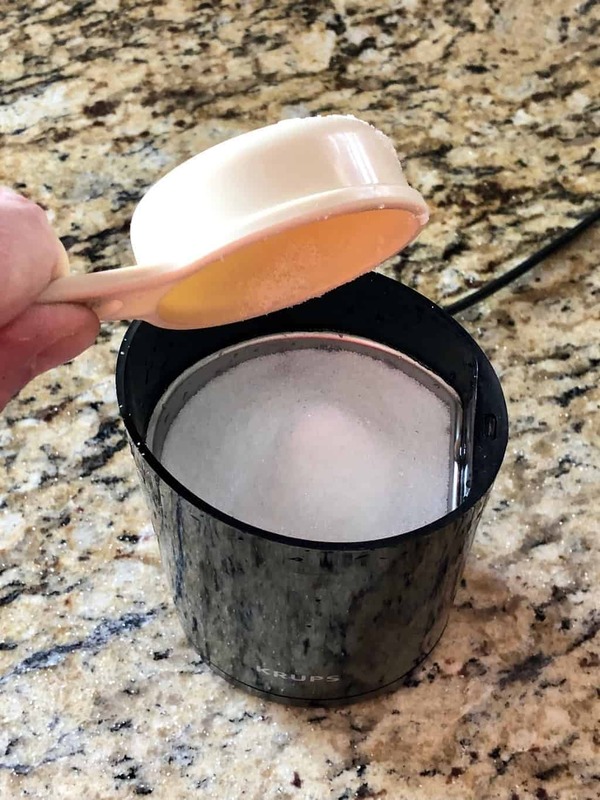 Pour the powdered erythritol directly from the grinder into whatever you are using it. Erythritol is the absolute best natural sweetener you can buy. 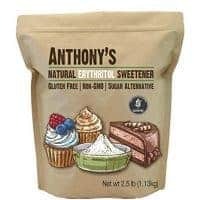 Powdered erythritol is a a simple and easy way to sweeten almost anything! Can you supply your recipes in metric for uk people? We would be happy to but currently our recipe plug-in doesn’t support conversions. As soon as it does all of our recipes well be metric-friendly. Wonder if you could do this in a Vitamix? You probably could, but you might have to kinda shake it as it mixes to get it all to hit the blades to powder. Does this sweetener have that wierd cooling effect aftertaste? Have you heard of Sola? It apparently is a new substitute sweetener out there. I found it at my local HyVee grocery store. We haven’t heard of Sola… We’ve also never heard of your grocery store chain! Try out the sweetener and let us know what you think! HyVee is a Midwest (Mostly Iowa and spreading outward from there) grocery store. Many have a ‘Health Market’ and stock items that are not found in other stores.